What is the Ideal Depth of a Diamond? You’ve probably heard that it’s important to take the four ‘C’s (carat, cut, clarity, and color) into consideration when shopping for a diamond. But there are many characteristics that go into establishing these traits of a diamond that you should pay attention to, like the depth of the stone. The depth is the height of the diamond measured from the diamond table to the culet, the pointed area at the bottom of the diamond. Why is Diamond Depth Important? An aspect of the cut, the depth of a diamond will affect how much light is reflected back to an observer. 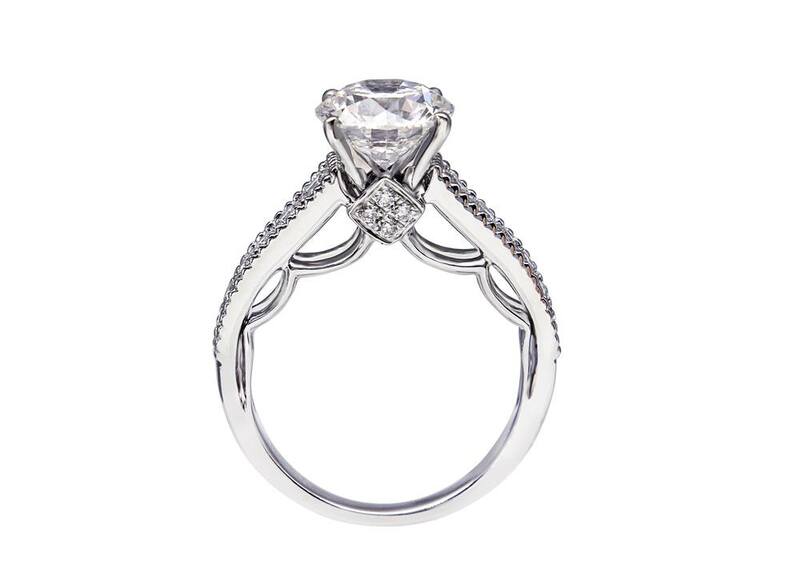 A diamond with an ideal depth will reflect most of the light that comes into the diamond. If the diamond is too deep, light that enters will hit the facets at the wrong angle and escape through the sides of the diamond. If the diamond is too shallow, most of the light that enters will be lost through the bottom of the diamond. Therefore, the depth must be perfect in order to maximize the diamond’s brilliance. 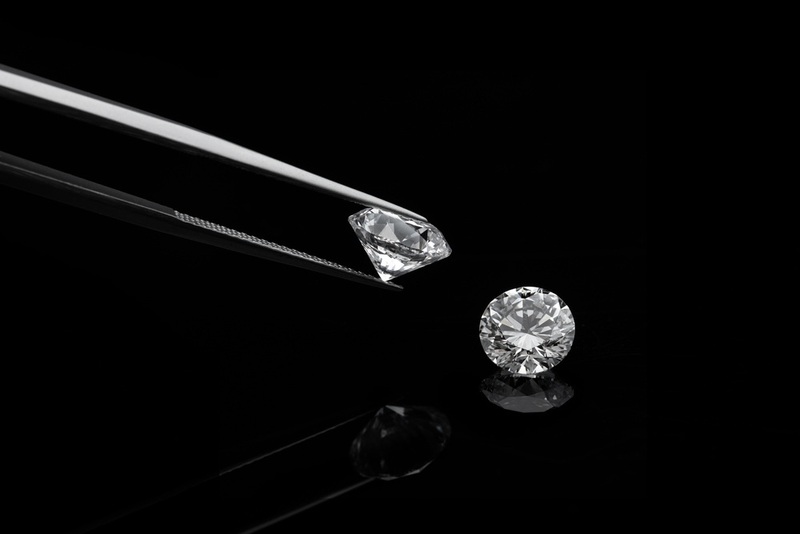 When comparing the depths of diamonds, it’s important to look at the depth percentage as opposed to just the depth measurement. The depth percentage is calculated by dividing the depth by the width of the stone. For example, if a diamond has a depth of 4 mm and a width of 5 mm, the depth percentage would be 80%. Depth is important because it is one factor that contributes to the diamond’s overall cut grade. However, unlike with clarity, color, and carat grades, the Gemological Institute of America (GIA) only assigns cut grades to round diamonds. Many retailers have therefore established their own grading systems to help you determine cut for other shapes. If you want your diamond to appear as large as possible, choose a stone with a depth percentage on the lower end of the ideal range. For example, for a Round diamond, select a stone with a depth percentage of 59.5%, the lower end of the 59.5-61.9% ideal cut margin. Why? Diamonds with a lower depth percentage carry most of their weight on the top, which means the diamond will appear larger when you look down at it. Why not just choose a diamond with a very low depth percentage? If you go too low, the diamond won’t have any brilliance, so stay within the ideal depth percentage range for the shape. 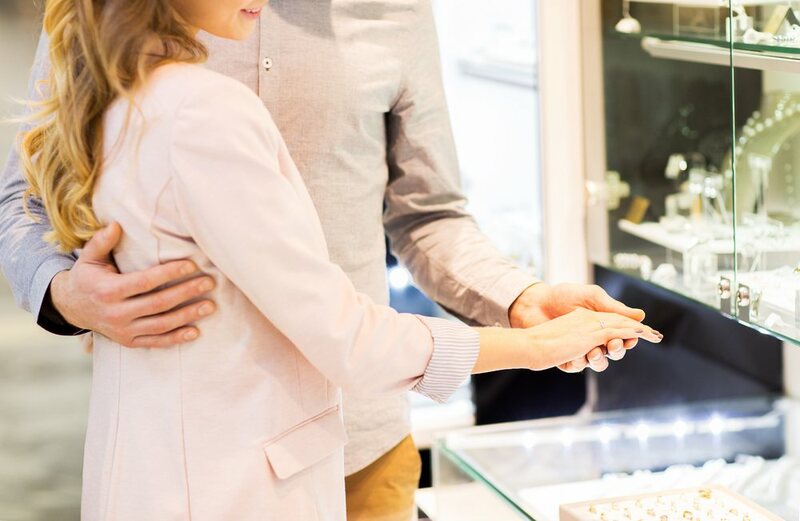 Now that you know what the ideal depth of a diamond is, be sure to ask the retailer for this information the next time you go shopping for diamond jewelry!